AL AIN, 28th March, 2018 (WAM) -- The Department of Culture and Tourism - Abu Dhabi, inaugurated on Monday the Archaeology Conference 2018 at Danat Al Ain Resort, with a host of thought leaders and esteemed practitioners in the field of archaeology. The conference, which runs until 29th March, explores recent discoveries and evaluating their importance to understand UAE history and discusses critical topics such as conservation, the investigation of sites and how the archaeology of ancient times relates to the development of the country. Dr. Peter Magee, Head of Archaeology at DCT Abu Dhabi, who chaired the opening session, discussed the palaeo-environment and early human settlements in Abu Dhabi and the Arabian Gulf. New evidence for a series of Late Miocene Proboscidean trackways showed how elephants walked in Abu Dhabi’s Al Dhafra region, he said. Speakers also discussed the Holocene relative sea-level variations along the Arabian Gulf and the archaeobotanical evidence found in the Arabian Peninsula. The second session, chaired by Omar Al Kaabi, Historic Buildings Unit Head at DCT Abu Dhabi, explored recent discoveries in the Neolithic site of Umm Al Quwain and Marawah Island, as well as the evidence found of the Neolithic camel hunters in Baynunah in Abu Dhabi. Second day of the conference kicked off with the third session, chaired by Salama Al Shamsi, Senior Project Manager, Zayed National Museum, discussed the importance of archaeology as part of the upcoming museum, as well as the origins of the archaeological fieldwork and its roots in the UAE’s recent history. The fourth session, chaired by Derek Kennet, explored discoveries from the Bronze Age in Ras al-Khaimah and Fujairah. 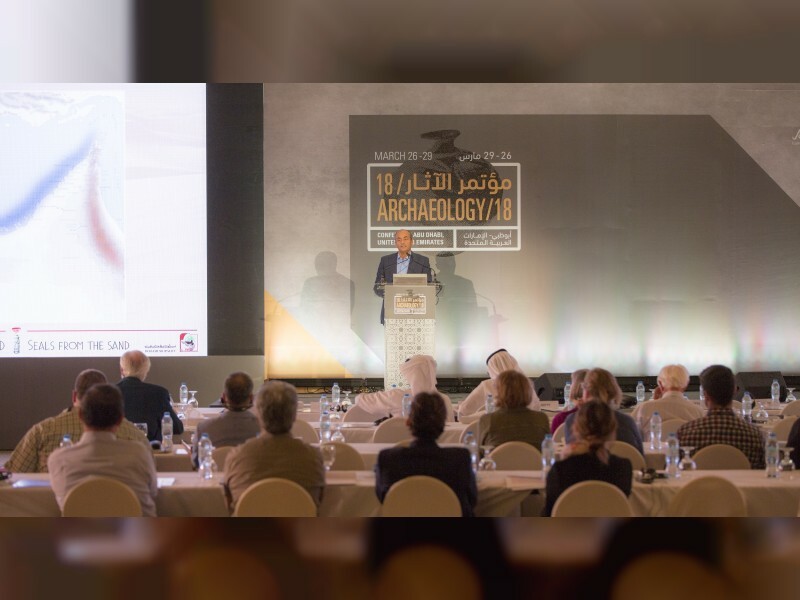 The conference is an opportunity for professional archaeologists working in the UAE, the Gulf region, and across the world, to network, share information about their projects and research, as well as attend presentations by historians, architectural historians and conservators, organisers said. The event's agenda focus on the palaeo-environment and early human settlements in the Gulf region, the Neolithic in the UAE, the legacy of Sheikh Zayed bin Sultan Al Nahyan in the archaeology of the UAE, discoveries from the Bronze and Iron Ages in the UAE, and conservation planning and traditional architecture.